The site of Mark Torgeson, Massage for Wholeness is located at 111 Amelia Street, Fredericksburg, VA.
Mark specializes in pain relief of neck, back, hips, and arms, and practices a number of modalities including Neuromuscular Therapy, Myofascial massage, and Shiatsu. 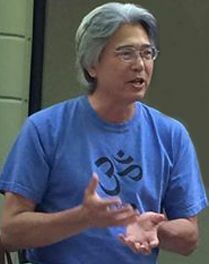 In addition, Mark is a Reiki Master, a teacher of Sound Healing, and a composer of Music of Transformation. Mark established his practice in 1990 and since then has treated thousands of clients, with the mission of facilitating transformation in the human energy system.